Antonio Ricci: There’s a cure for everything except death. 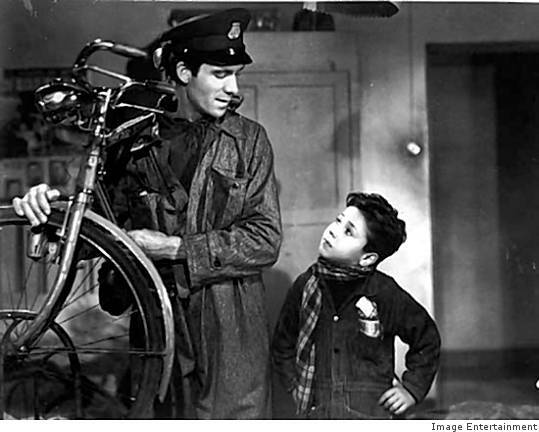 The film, Ladri di Biciclette (1948), or as it is more commonly referred to, The Bicycle Thief, was directed by Vittorio De Sica and is often attributed for starting the neorealist movement in Italian cinema. Neorealist… It sounds like a word reserved for British octogenarians with waxed moustaches, smoking jackets, and big cigars, and in all honestly it probably is. I’m not generally one to use terms like this, but it’s essential to truly understand this film’s significance. The neorealist movement, in its most basic definition, was a response to the huge productions being manufactured in Hollywood during WWII. Directors like de Sica wanted instead to portray “real” life with “real” people. The Bicycle Thief is a perfect example of this. The main character, Antonio Ricci, was played by a factory worker (Lamberto Maggiorani), not an actor. The same goes for the vast majority of the cast, not just in this film, but also in the films of this neorealist movement. The plot for The Bicycle Thief is simple (characteristic of NFs (I’m using “NFs” as an abbreviation for Neorealist Films so I don’t have to write that whole thing out…)): a poor man is offered a job that requires him to have a bicycle; his bicycle is stolen, and he must get it back to keep his job. Now for many (and I’ll level with you, this would include me), this does not sound like it would make a great film. However, this film is done so brilliantly that this plot becomes not just interesting but compelling. If you haven’t already figured this out, this Italian film is in… you guessed it: Italian! To anyone who refuses to watch foreign films because a.) they aren’t in English b.) American actors are better c.) you don’t like reading subtitles; I have this to say: I felt the exact same way. The Bicycle Thief is the film that completely turned my opinion around, enough so that I went out and bought 8 other foreign films the next day! In fact, I think every one of the “cons” to foreign films I mentioned was dispelled (except reading subtitles… I still don’t like that). The Italian language is, in a word, beautiful. The way the language is spoken dovetails so perfectly with the mood of the film in a way I’m not sure English could. With regards to the subtitles, the actors do such a brilliant job that you don’t even need to read them to understand what they’re saying. 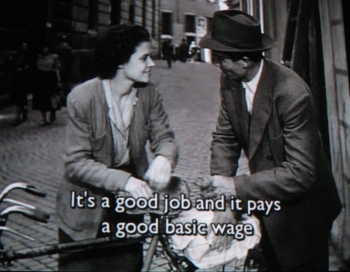 At the beginning of the film, Ricci is offered a job (something that was extremely hard to come by in Italy at this time). The job is hanging posters and requires that the workers have bicycles. So Ricci and his wife Maria (Lianella Carell) sell off much of the little they own to buy his bike back (he had to pawn it off so they could afford to eat). During his first day on the job, as he is hanging a poster, a man comes up and steals his bike. Ricci chases after him yelling, “Al ladro! Al ladro!” (Stop thief! Stop thief!). 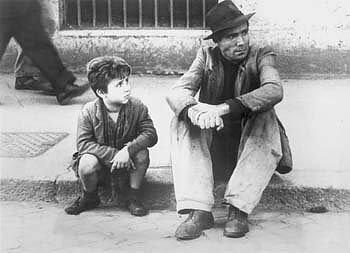 One of the pervading themes of the film is the relationship between Ricci and his son, Bruno (Enzo Staiola). Bruno, though young, acts like a man of 4 or 5 times his age, and seems to have a great understanding of society. There is a wonderful scene when Ricci first brings home his bike and Bruno looks it over and notices a dent in it. He becomes upset and gets mad at his father for not having the pawnshop fix the damage. Bruno joins his father on his crusade to find his bicycle as they scour the city. After having searched for a few days, Ricci takes Bruno to a café and says to him, “Let’s forget everything and get drunk!” (now keep in mind, Bruno is something like 7 or 8 years-old; you’ve got to love Italy). The two throw their cares away and for the first time, seem to enjoy themselves. The whole time they are there, Bruno keeps looking at a boy at another table. The boy is eating a giant plate of spaghetti. 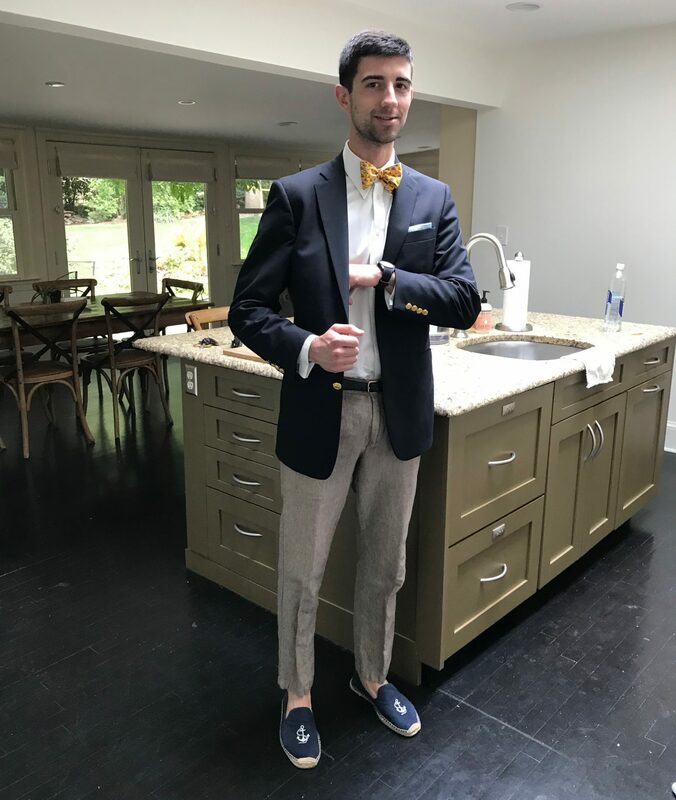 He is well-dressed and clearly comes from a family with wealth. This quickly wears on Bruno and he begins to feel depressed again. Ricci notices this and tells him, “To eat like them, you’d have to earn a million lira a month.” Bruno almost drops his food when he hears this and immediately stops watching the other boy. To add to the emotion of the film, there is constant music in the background. The music is depressing to put it lightly, and it’s what really makes this film so heavy. I think anyone would be hard-pressed to watch this film and not have an emotional response to it. The film reveals the faults inherent in human nature. For Ricci, his faults are revealed to his son as he struggles to get by. While Ricci does make some questionable decisions, we have sympathy for him and we empathize with his situation. The Bicycle Thief is not only a great foreign film, but a great overall film. I didn’t fully appreciate it on the first viewing, but the second, third, and (somewhat absurd) fourth made me realize how special it was. 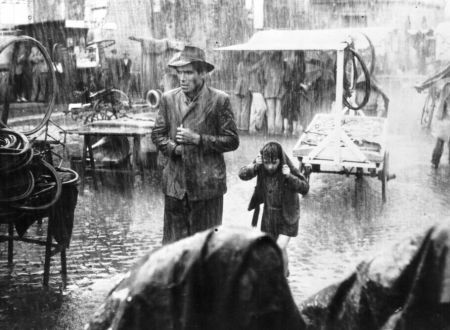 For anyone who doesn’t like foreign films… give The Bicycle Thief a chance; come on, Italians only make great things. At my first read I was scared you used a double sad face in the second paragraph. Upon my second viewing, I took the time to understand your use of parentheses. Needless to say, I was relieved. Another strong post bringing interest to me in something that I would likely have none of on my own.